One of the hottest brunch events in DFW is coming up on February 9! 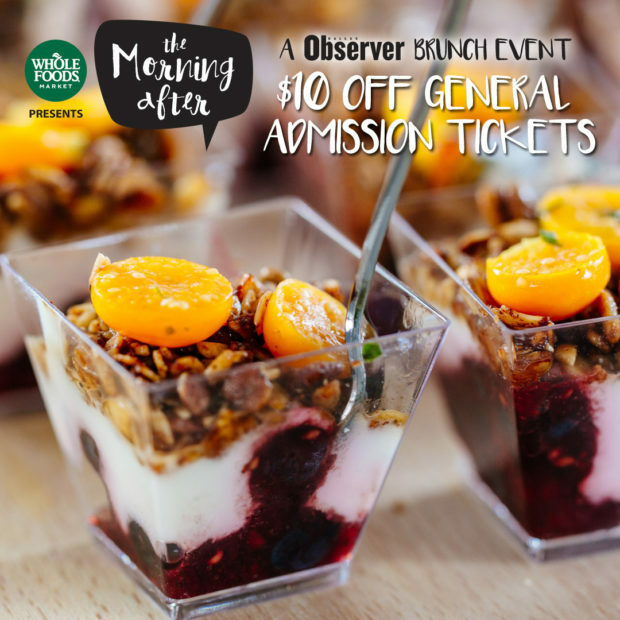 Hosted by the Dallas Observer, The Morning After is a brunch event not to miss, so set your alarms early. Get ready for a morning packed with good food (unlimited brunch samples), drinks and music – all at the Dallas Farmers Market. Check out the full list of participating restaurants here, which includes Meso Maya, Empire Baking Company, HIDE, Sundown at Granada and many more! Disclaimer: We’ve shared this fun news with you because our writers are going to the event too, thanks to the Dallas Observer. We hope to see you there!